Transform your look quickly by draping dupatta in myriad ways. Fashion draping is an important part of fashion designing that gives a completely new look. 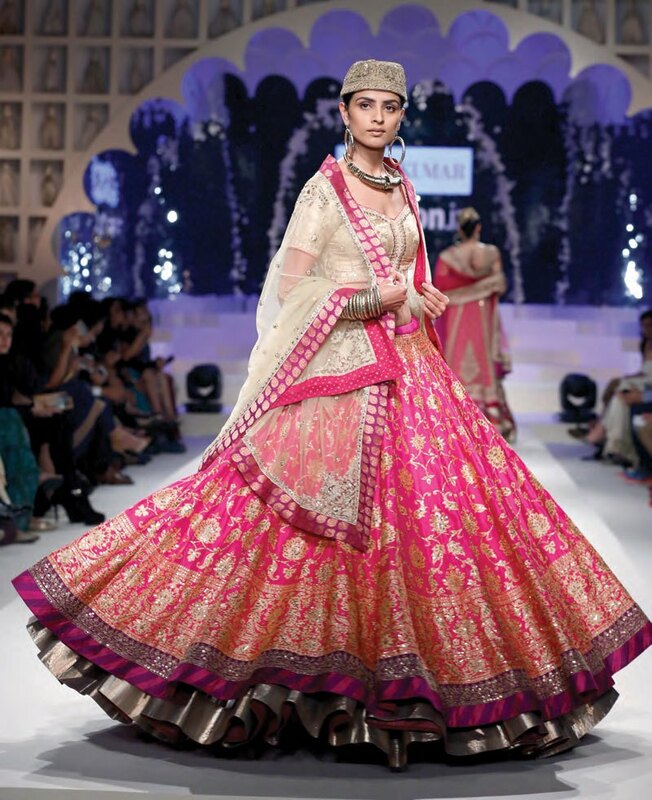 You could have worn ethnic outfits but if you change the draping style of dupatta, it will look like a new outfit. A dress can be draped in such a way to create the sewing draped pattern for making fashionable attire. Draping ability plays an important role to make the sophisticated look. Adding new dupatta or re-draping the old dupatta is an excellent way to stand out. Draping style requires the knowledge of the fabric's characteristics which allow choosing appropriate fabric for the flow of each design. Designers dedicate the time for swatches collections while shopping. Analyses the structure of fabric to have the balance pattern drape and approach each design with clear fashion sense.Take a look on following Dupatta Draping Style to look staggering and stunning. 1. You cannot pleat the heavy dupatta as it would kill the dress look. For heavily embellished dupatta, you can drape it over one shoulder and let the dupatta fall free at another end by crossing it over opposite wrist. 2. Drape dupatta over the head and brought in the front on one side while another is opened at the back side. 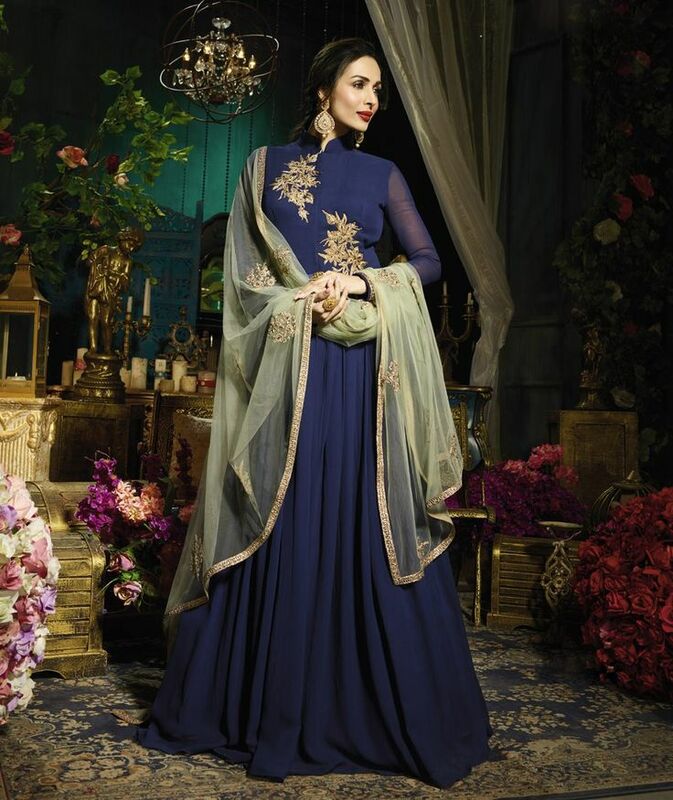 This style gives an elegant and royal look. You can innovate by creating different shape fall in the front. 3. 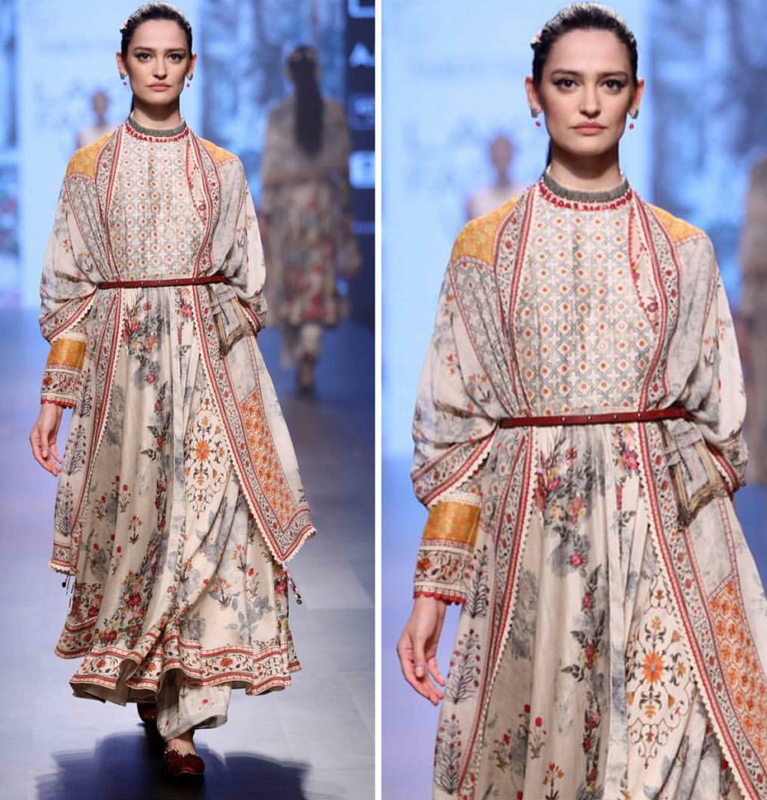 Try this look to have a simple and stylish appearance by draping dupatta over the neck and brought one side in the front while another side is wrapped around the neck and let fall its backside. 4. 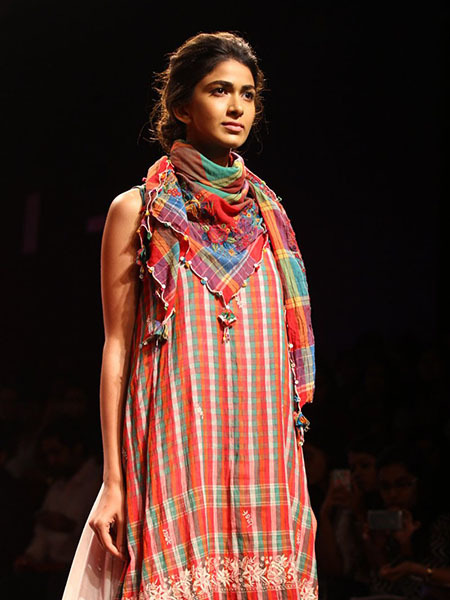 Drape the dupatta around the neck multiple time until covers the chest and let the two ends hang on either side. This style is suitable when you want to appear stylish even with a simple kurta. 5. 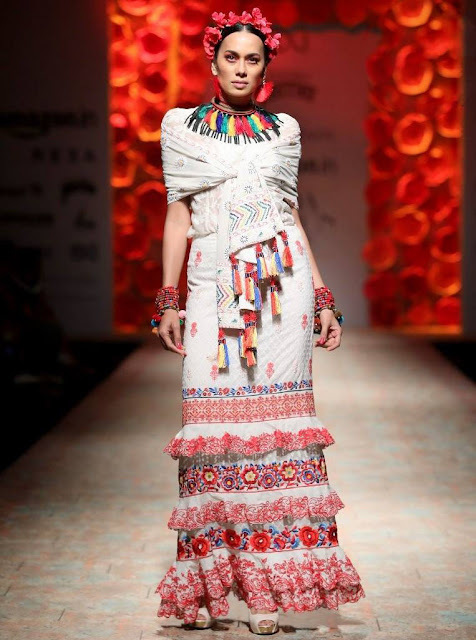 You can drape the dupatta formally over one shoulder and tie with a waistbelt. It looks classy and rich. 6. Brides look elegant when one dupatta draped overhead and another one like normal saree style. 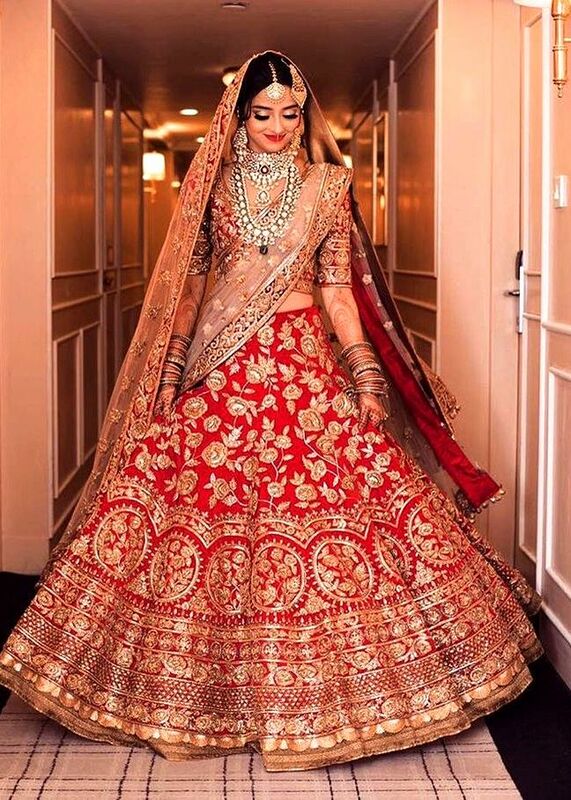 Here you can check out all trending outfits for brides. 7. Single dupatta brought over shoulders from the behind & innovate it by creating different shape at the front side or crossed over one wrist. 8. Dupatta is taken over one arm and wrapped around the wrist on the other side makes you stunning and look rich on your wedding day or sangeet ceremony. 10. This look is more interesting. Any fashion oriented girls can follow this style with bold perspective. Single dupatta brought over shoulders from the behind and tie with a waistbelt. © 2017 SareeO. All Rights Reserved.